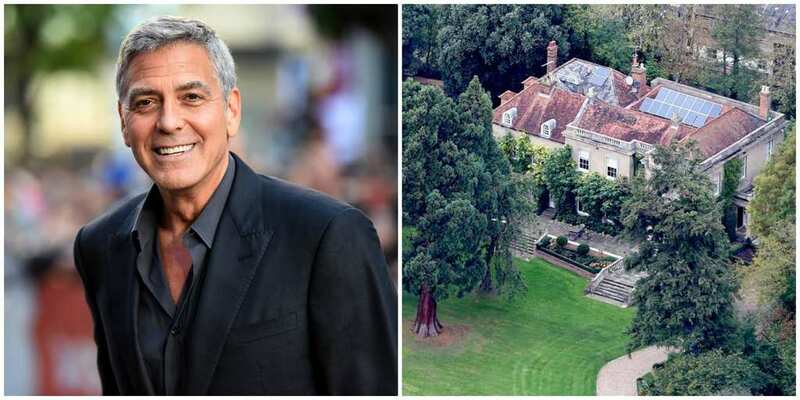 George Clooney, together with his wife, Amal, purchased their 17th Century, Grade II listed mansion in Berkshire, England, for their marital home. Soon after they married, they purchased the home in 2014 for just under $10 million and got working on major renovations for the home straight away. Their home currently hosts nine bedrooms and boasts a gym, a wine cellar, a library, a pool house, and a sauna. There must be plenty of extra room for their twins, Ella and Alexander, to play around. After Khloe Kardashian put her former marital home with Lamar Odom up for sale, Bing Bang Theory star, Kaley Cuoco snapped it right up for $5.4 million. The LA home reportedly had seven bedrooms and six bathrooms, as well as, a driveway that can accommodate more than 15 cars. With the house having previously featured on Khloe’s family reality series, there is a gourmet kitchen, stone floors, and a premier theatre. Not to forget the pool, spa, and outside kitchen with a BBQ. When A-list actress, Julia Roberts, purchased her new home, she spent a whopping $19.3 million on a green makeover to ensure her house was eco-friendly. The cost included installing solar panels and making her home completely waste-free. With Julia having made the big bucks from starring in films such as Notting Hill, Pretty Woman, and Runaway Bride, it is no surprise she could afford to splash a little cash to make her home better for the environment. You go, Julia Roberts! Celine Dion’s house is relatively well-known since it also has its own water park! While her children may be living the ultimate dream, many of her neighbors are unhappy with the amount of water Celine is using to fund her Florida water park. 500,000 gallons of water is used to fill the two pools, two water slides, a river, and water cannons. 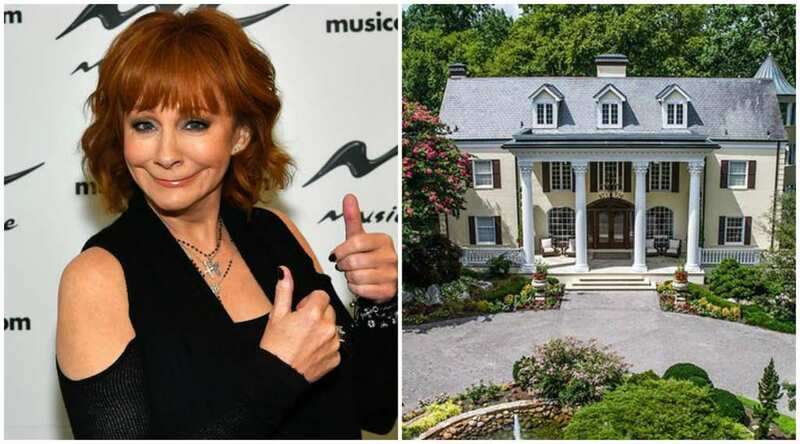 As for the house, meanwhile, the singer’s home boasts 13 bedrooms and 14 bathrooms, so there is plenty of room for her family to spend their time. 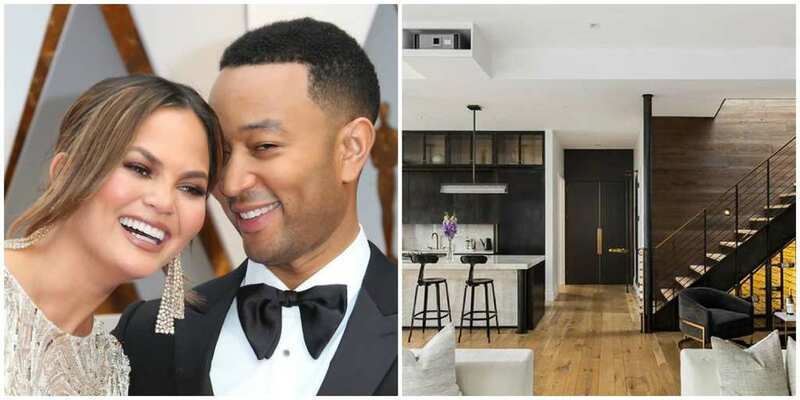 Two years ago, John Legend and his wife, Chrissy Teigen, sold their almost 2,000 square-foot, one-bedroom loft in New York City for $3.9 million. Recently, however, the power couple chose to head back to the same boutique building to purchase the loft-style penthouse for a whopping $9.02 million. The cost was slightly higher than the asking price of $8,995 million, but the couple must have fallen in love with the “vintage meets modern” style apartment. The perfect place for their growing family to spend time when in New York. 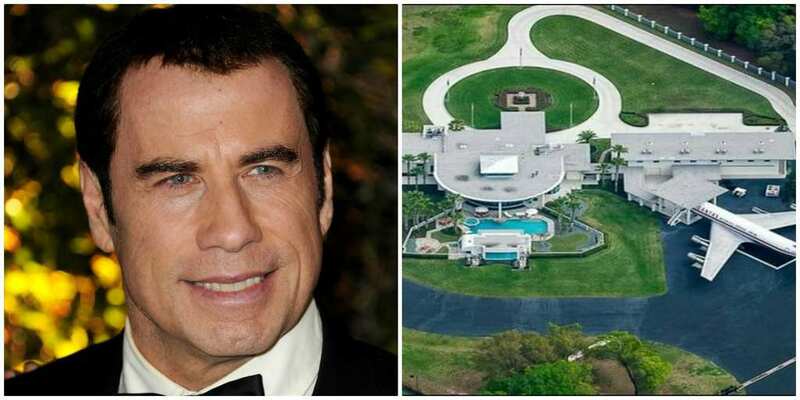 It is not every day you come across someone who has a house on an air estate, but if you ever meet John Travolta, he could become your first. 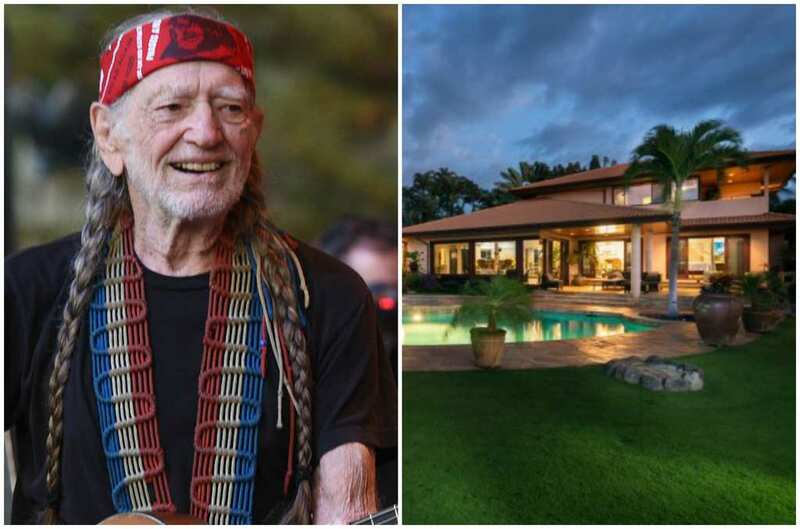 Along with his wife, Kelly Preston, and their children, John lives in the Jumbolair Aviation Estate in Florida, which he bought for $3.95 million. The out of the ordinary home has two runways with ceiling to floor windows inside the home allowing the Grease star to look out onto his Boeing 707 parked in the front yard. 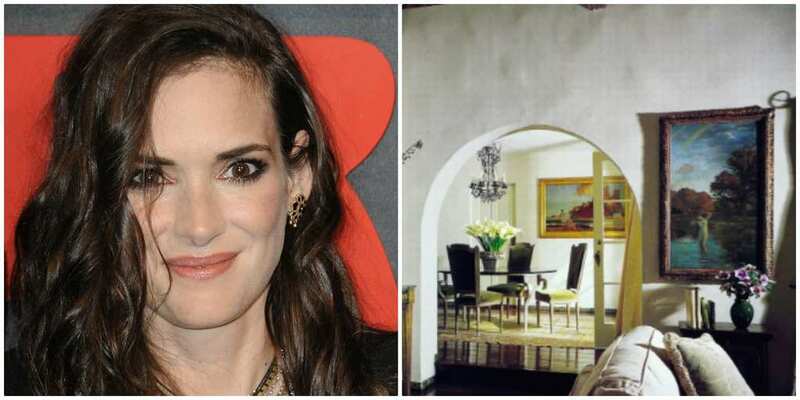 Ryder enlisted her friend and fellow actor, Kevin Haley, to help decorate her 1920s house in Beverly Hills. Having lived in suitcases for years before moving into her home, Ryder went on to acquire two homes which she wanted to make her own. With the help of Haley, Ryder said, “he saved my life.” He turned her home from what she considered “creepy,” into a modern humble abode. We can understand that Ryder wants to go back to a calming home after her filming on Stranger Things. 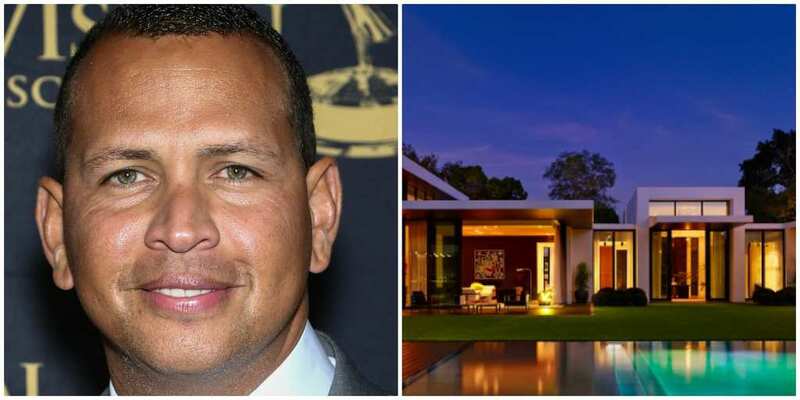 Alex Rodriguez, famously known as A-Rod, may be dating megastar Jennifer Lopez and spending much of his time with her in her home, but he started by making a successful career for himself as a professional baseball player. To treat himself, he bought an 11,000 square-foot retreat at Trousdale Estates in Beverly Hills, which is a one-story home for him and his two daughters to enjoy. To get the indoor-outdoor feel, all the interiors in the home connect directly to the grounds, and it sure looks stunning. Jennifer Lopez is the name on everyone’s lips following her impressive performance at the 2018 VMAS and, having had such a successful career as a singer and an actress, Lopez could afford to spend $40 million on her home. 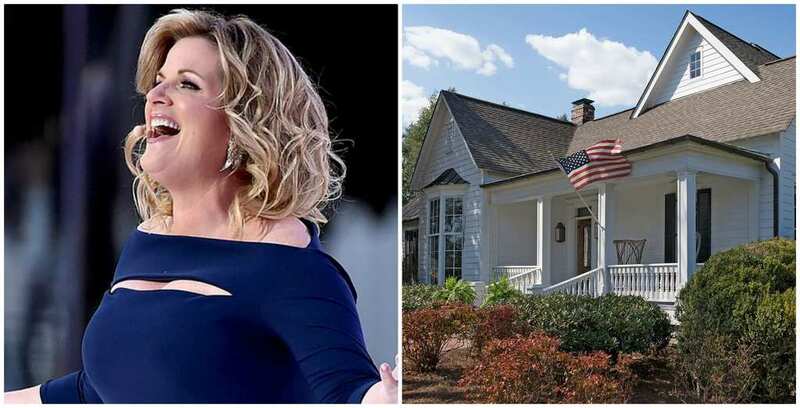 It was reported that the songstress bought her home for the staggering amount in 2016, which hosts seven bedrooms and 13 bathrooms within the 13,932 square feet. The home also boasts a gourmet kitchen, a 30-seat screening room and, of course, a musical area outside for all to make some sweet sounds. Britney’s most recent property is 8,456-square-feet and sits on 61,000 square feet of land. 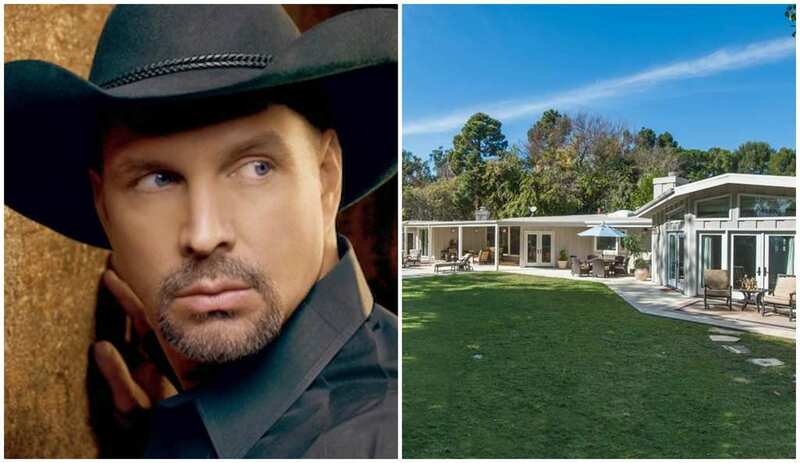 The “Piece of Me” singer’s home has three separate wings for the master, children, and guests, with a grand entryway and a pool in her house. Should Britney plan to host her friends, family, or fellow celebs, they can be welcomed at the outdoor bar lounge, or enjoy the outdoor pool. Having started her career at the age of 16, Britney Spears certainly proved to be a success and can afford an $8.9 million home. Why resort to being just the most talked-about musician in the world when your house can also be the talk of the town? Lady Gaga doesn’t do things simply, and this was perfectly demonstrated when she spent a whopping $23 million on her 10,000 square foot home in Malibu. Steve Giannetti put a Mediterranean spin on the estate’s design, and that’s not all. Gaga has about six acres of land all to herself, as well as some of the most stunning views of the Pacific Ocean. 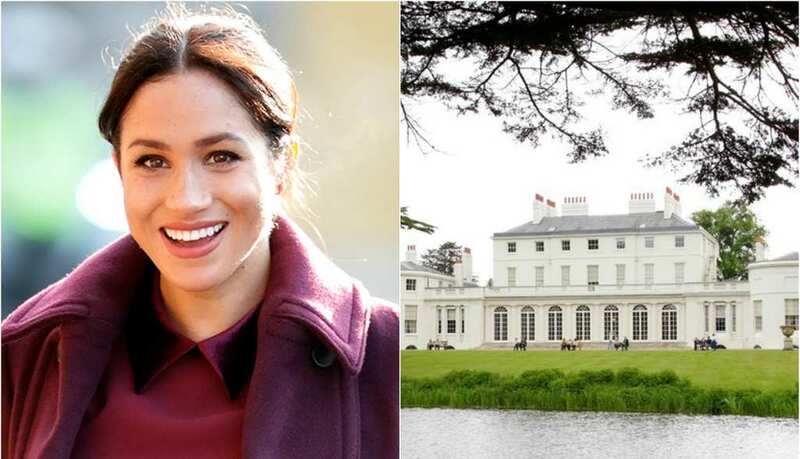 After recently announcing that they were officially moving out of Kensington Palace, Meghan Markle and Prince Harry have found their dream home to put their Royal marriage into full swing. Their new home goes by the name of Frogmore Cottage and is located on Windsor Estate. This means that Harry and Meghan will be a stone’s throw away from The Queen. It also happens to be the exact same location that they held their wedding reception. They even took photos of their engagement there. 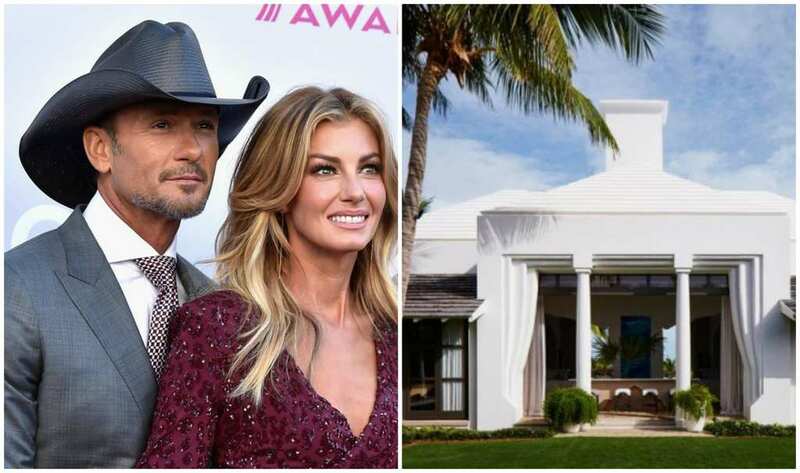 Faith Hill and Tim McGraw own multiple houses, but their favorite is their vacation getaway on their private island in the Bahamas. Canadian country crooner Shania Twain is best known for her smash hits “Man! I Feel Like A Woman” and “That Don’t Impress Me Much.” Having escaped a hardscrabble childhood spent in rural poverty, she hit the big time in a major way and has sold over 100 million records worldwide. In 2011, Shania married Swiss executive Frédéric Thiébaud, and bought a chateau fit for a princess in the French countryside. The estate was originally built way back in 1882! 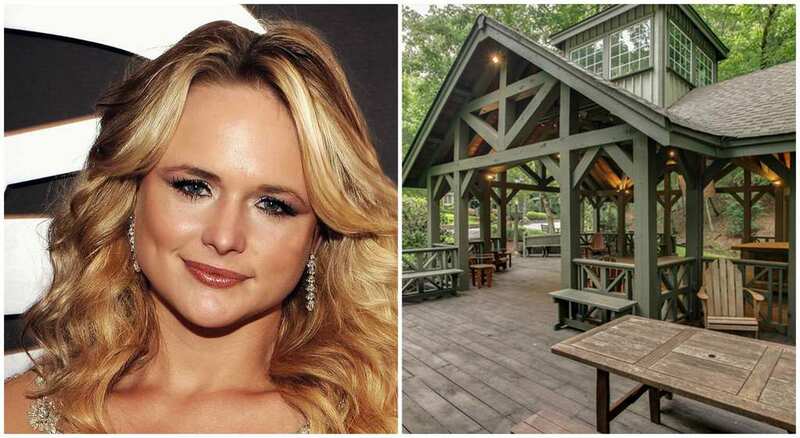 Miranda Lambert’s property, which lies about an hour’s drive south of Nashville in the heart of the Tennessee countryside, is an Estate with a capital E. After paying $3.4 million, Miranda is now the owner of more than 400 acres of land, complete with fenced in walking trails, 3 separate residences, a pond and an amphitheater which can seat 60 people. After her divorce from fellow country star Blake Shelton, Miranda wanted a fresh start and this magical place is it! The former Wheel of Fortune host once occupied this mansion of dreams with her ex-husband George Pietro until their divorce in 2002. Sitting on 22,194 square feet of land, doesn’t it seem worth working on the marriage just to live in this Tuscan style home? This two-story mansion has eight bedrooms, 10 bathrooms, a wine cellar, and a mini spa. After renting it out for many years, Pietro put it on the market, and the asking price of $47.5 million makes it one of the most expensive houses on this list! Just call it “The House That Jolene Built!” The sprawling country estate boasts several luxurious features, including a tennis court, and both an indoor and outdoor swimming pool. As she doesn’t have children, she shares the property with her husband Carl Thomas Dean, who she’s been married to for over 50 years! She also recently filed a request with the local city council to erect a barn on her property. It was granted. Dolly’s still clearly a true country girl! After his divorce from fellow country music superstar Miranda Lambert, Blake Shelton bought this massive 1,200 acre property near Tishomingo, Oklahoma in order to be closer to his kids. Miranda moved them from Nashville to her hometown. 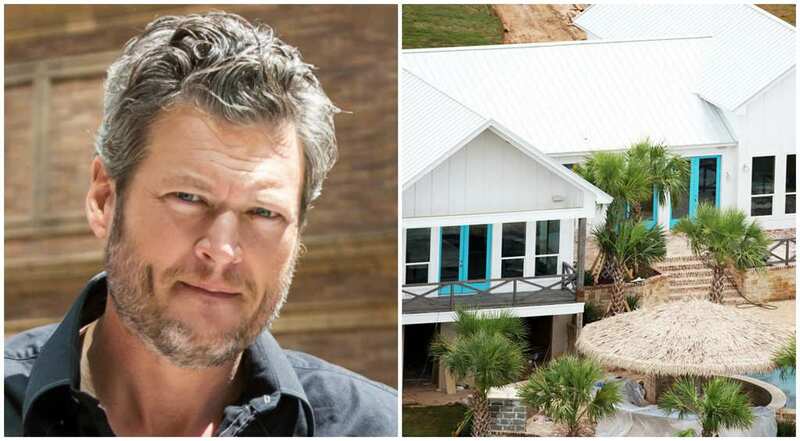 The house has just had a recent addition – a Hawaiian tiki style pool house, which can serve as a family getaway perfect for Blake and his bride to be, Gwen Stefani, along with her three children from her previous marriage to rocker Gavin Rossdale. Willie Nelson is everyone’s favorite bad boy of country music, so much so that he’s credited with originating the genre “outlaw country.” So it might surprise you to learn that this country boy, born in Texas and raised in Arkansas, actually spends most of the year far away from the Mississippi River – he spends almost all his time on his estate in Maui, Hawaii. The house has a swimming pool and 5 bedrooms with 6 bathrooms and a gourmet kitchen. Reba McEntire has been a staple of the country music scene for decades now, and is one of the industry’s most well known leading ladies. But her house will definitely impress you as much as her music does. She owns an 83 acre lakefront estate called Starstruck Farm near Lebanon, Tennessee. The luxurious property boasts stables that can fit up to 16 horses, 2 pools, a tennis court, and a main residence with 7 bathrooms and 6 bedrooms. 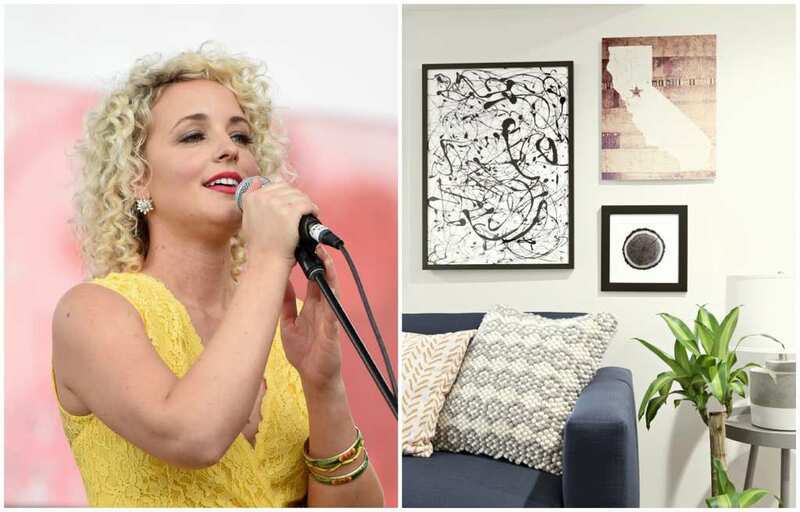 This unassuming house might not look like much, but it’s a personal piece of paradise for country songbirds and power couple Garth Brooks and Trisha Yearwood. The dynamic duo spend about half their time in this Malibu house, which at 4,326 square feet is modest by celebrity standards. The 4 bedroom, 4 bath house boasts a basketball court and most importantly, its own personal private staircase which leads to the beach and the Pacific Ocean. The house is worth $7 million! Carrie Underwood won a recording contract worth more than one million dollars, a classic convertible Ford Mustang, and use of a private jet for a year after being crowned the winner of the 4th season of American Idol. But Carrie didn’t let that fame go to her head – she actually bought a modest property in Franklin, Tennessee. 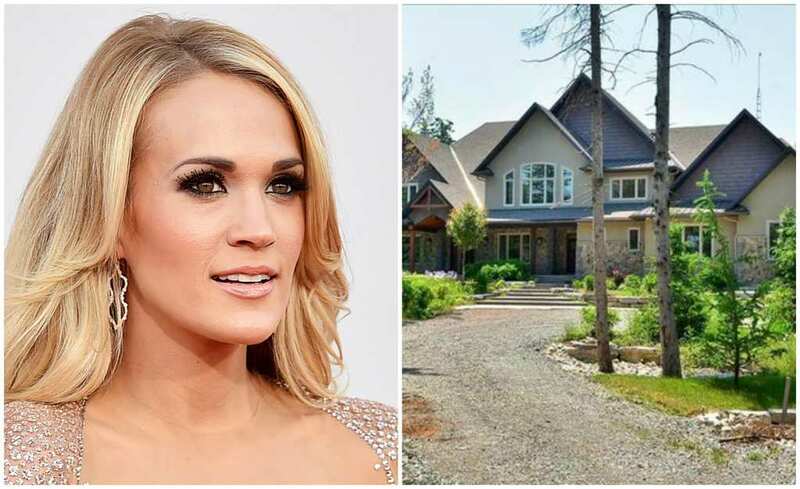 Nowadays, she owns multiple properties with her husband Mike Fisher, who is a professional hockey player in Canada. They currently live in Ottawa. Keith Urban was born far away from the smoky mountains of Tennessee – he started his life all the way in Whangarei, New Zealand. After making a name for himself in the Australian country music scene, he made his way to Nashville and the rest is history. The estate she shares with his wife, Hollywood super star Nicole Kidman, has 4 bedrooms, 5 bathrooms, and totals over 5,000 square feet. It’s located near Carrie Underwood’s house in Franklin, Tennessee. Alan Jackson has had a massively succesful career, selling over 80 million records worldwide and smashing the charts with over 66 singles in the Billboard Hot 100 Country Chart. The fruits of success are sweet, and Alan’s house definitely reflects that. His estate, named Sweetbriar, is located in affluent Franlin, Tennessee and rumored to be modeled after the Tara plantation in Gone With The Wind. The property is worth an estimate $38 million and sits on a 135 acre lot. 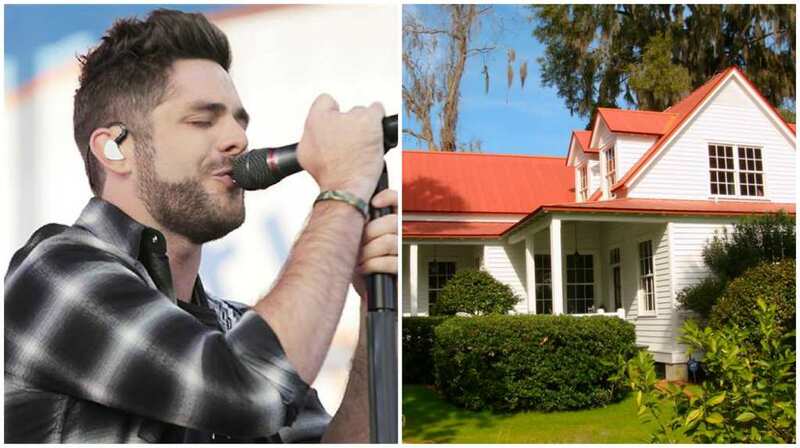 It seems like it’s a rule: Make it big in country music, and then buy a ranch in Franklin. 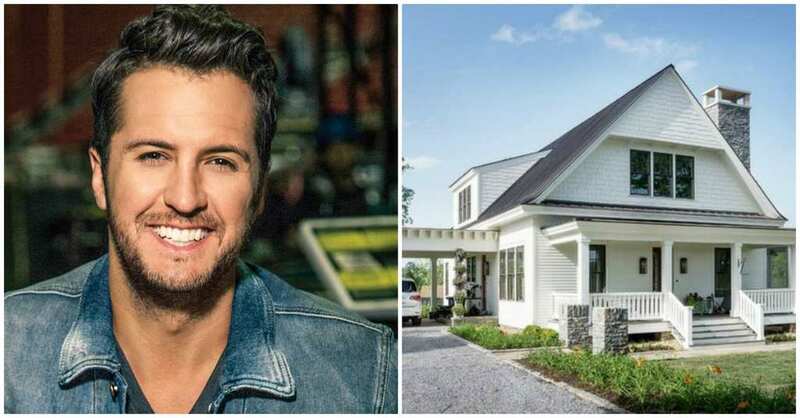 Country music super star Luke Bryan has done just that, moving his family from Nashville to Franklin in 2012. Luke’s estate sits on a comfortable 150 acre lot, and comes complete with a barn and separate guest house, away from the main residence. On a more tender note, Luke decided to name his estate “Redbird” after his late sister, Kelly. George Strait is a legend in the country music world, having earned the title “The King of Country” and George still holds onto his crown, nearly 4 decades into his career. 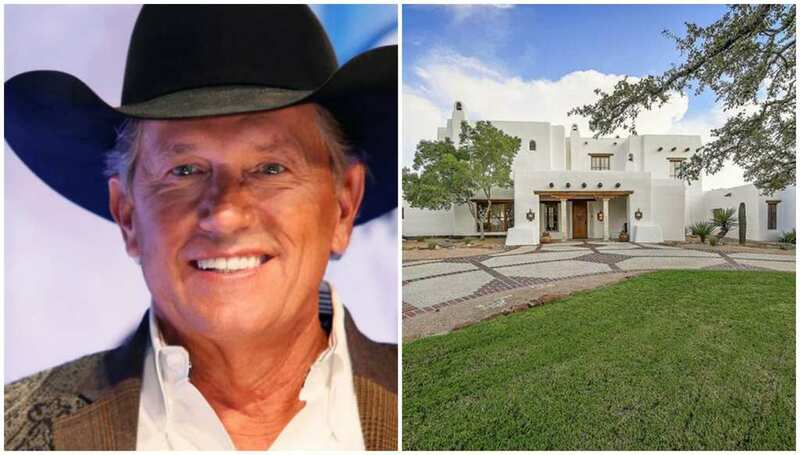 They say a man’s home is his castle, and George’s San Antonio estate is definitely fit for royalty! Named “Santa Fe in the Dominion,” the property has many luxurious elements, including a grand total of 14 fireplaces! The home holds a bowling alley and has a tennis and basketball court. 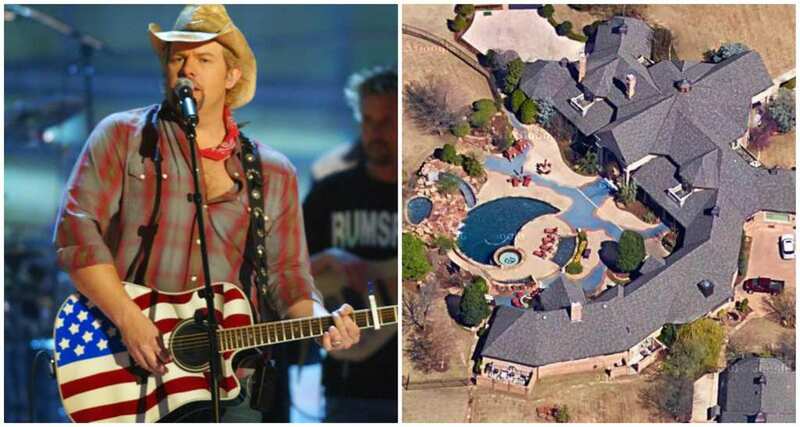 Toby Keith likes to keep his private life private, and refuses to let reporters in to show off his Oklahoma home. This aerial shot shows a sprawling property, named Dream Walkin’ Farms and sits on 160 acres just outside of Toby’s hometown, Norman. The estate boasts a swimming pool, basketball and racquetball courts, and a 2,500 square foot cabana, replete with a special grilling area. There’s also a two story, massive 6,000 square foot garage for his Harley Davidson collection! 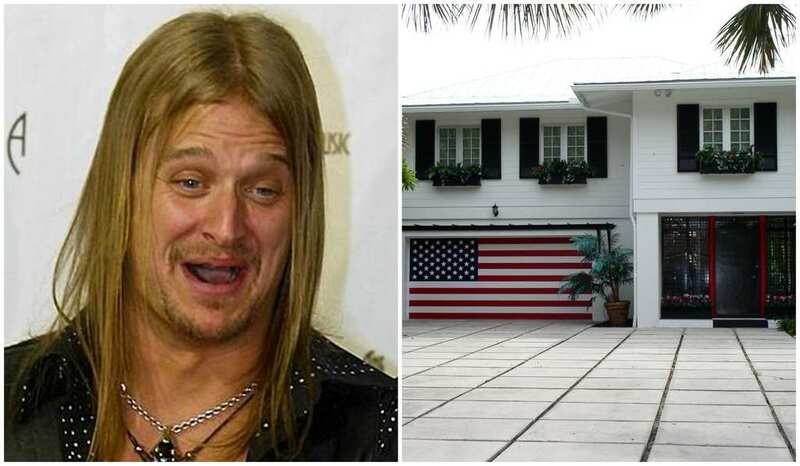 Even though Kid Rock was born and raised in Detroit and frequently works in Nashville, he owns a property in the star-studded area of Jupiter Island, Florida. It’s a secluded area, safe from the paparazzi and surrounded by three sides by water, giving homeowners the feeling of being on their own private island. Even though his house is behind some tall hedges, once you see his personal touch on the garage door, it’s clear that Kid Rock is in the house! Darius Rucker was born and raised in Southern Carolina, and he hasn’t strayed far from his roots, choosing Southern life over the glitz and glam of Hollywood. He decided to settle his family in Charleston, and his two story home has enough space for all three of his children to have separate bedrooms. The property also features a swimming pool with a cabana that can double as a guest house, and a large living room for hosting many guests at once. 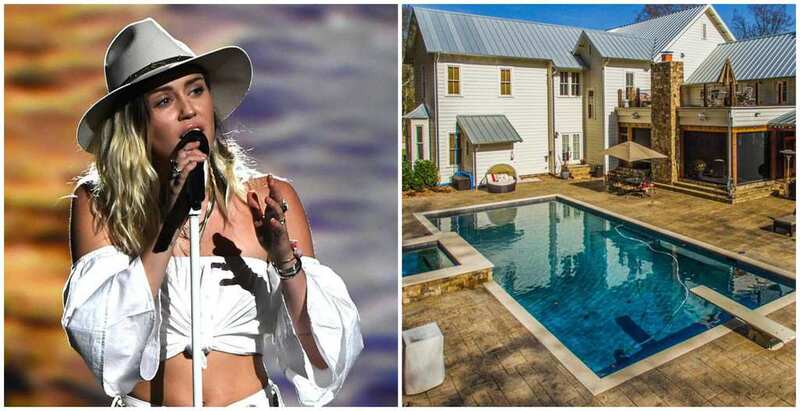 Despite her young age, Miley Cyrus was able to pony up the cash to shell out $5.8 million for her Franklin, Tennessee property. She already owns a beachfront house in Malibu and a rural horse ranch in Hidden Hills, California, but Miley is a born and bred country girl and decided to invest in a place in her home state. The 6 bathroom, 5 bedroom home sits on a comfortable 33 acres and has a pool and mini golf course. 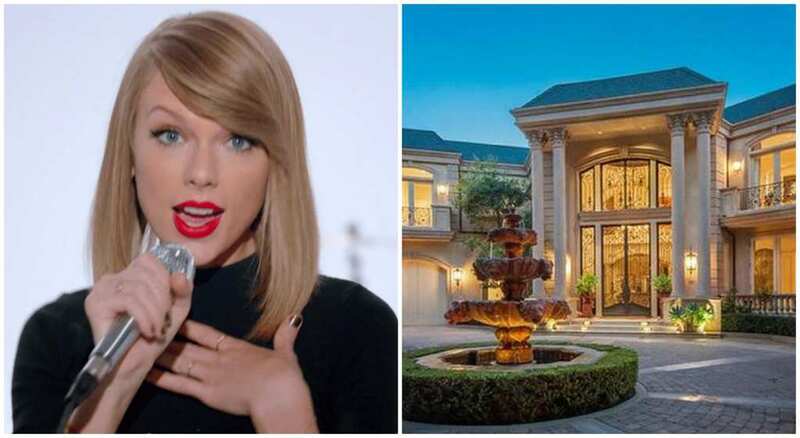 Taylor Swift, country music’s reigning princess, has several homes. But her favorite palace is her Beverly Hills mansion. The secluded property, located on a winding private street and behind several secure gates, of course, has 7 bedrooms and 10 bathrooms. It also has a pool with a huge deck, perfect for sunbathing and entertaining. One of our favorite things about the property are its circular drive, which can fit dozens of vehicles, and the ornate fountain which greets arriving guests. Martina McBride’s home is a classic Southern mansion, built all the way in 1917 and featuring 6 bedrooms and over 13,000 square feet in the main residence alone! But our favorite part of the property is the amazing backyard entertaining area, replete with pool and huge deck, grilling station, and of course, landscaping that includes rocks and water falls, which feed into the pool. In an interview, she said her inspiration came from growing up in Kansas, with no running water around. 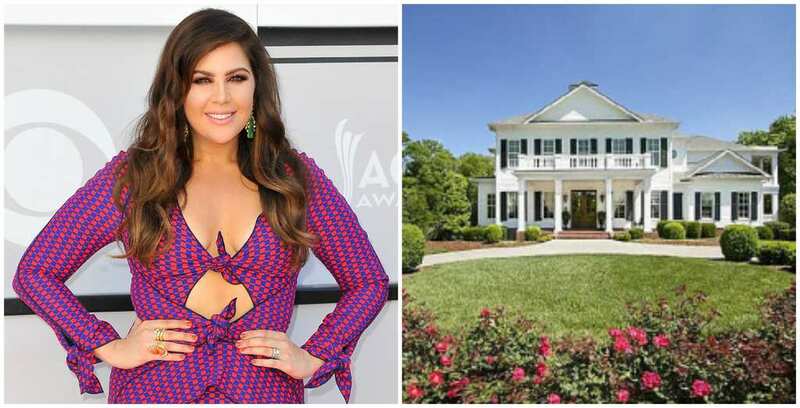 Hillary Scott’s claim to fame is as the lead singer of country music powerhouse Lady Antebellum, but you may not have known that Hillary is actually the daughter of country legend Linda Davis! Her house has 8 bathrooms and 6 bedrooms and was recently built, constructed back in 2006. It lies about 10 miles south of Nashville and has a screened porch, huge sundeck and swimming pool, and a painstakingly maintained backyard with flowerbeds and various fruit trees. Trisha Yearwood rose to fame as a country music power house, with unforgettable songs like “How Do I Live?” and “She’s In Love With The Boy.” But her career has taken on a second life, as she’s now well known as a chef and the host of popular Food Network show Trisha’s Southern Kitchen. She actually films the episodes in her real life kitchen in her home in Brentwood, Tennessee. The traditional home has 5 bedrooms and 6 bathrooms. Country singer-songwriter Cam (born Camaron Marvels Ochs) rose to fame after writing a smash hit song for Miley Cyrus. After that, she moved to Nashville to try her luck. Cam and her husband are both originally from California, so they decided they would incorporate little details into their Nashville home to pay homage to the Golden State. “Being on the road so much, it just feels great to go home and unwind,” she said in an interview with Architectural Digest. 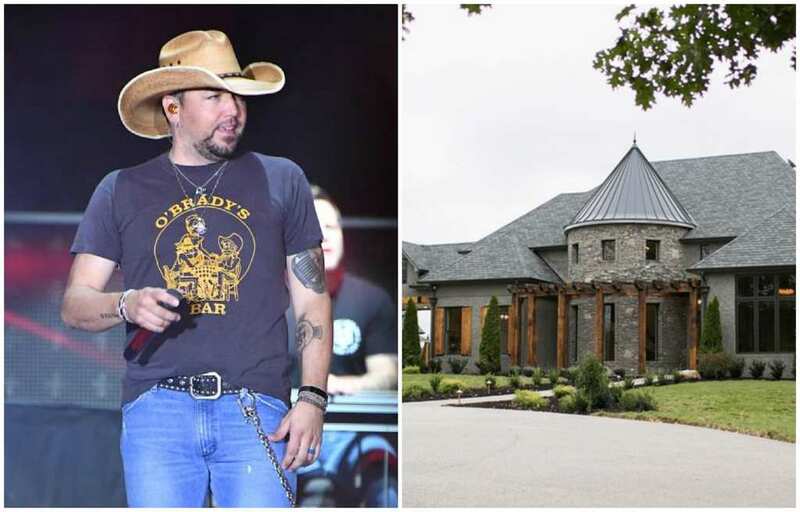 Jason Aldean definitely appreciates his privacy, so he packed up and headed out to the country, leaving the hustle and bustle of Nashville behind for the peace and quiet of Columbia, Tennessee. Jason must have really liked the property, as he paid $5.35 million for the 120 acre estate. The Flat Creek runs through the property, which is perfect for fishing or chilling out on a hot day. There’s also an infinity pool and a barn with horse stables. 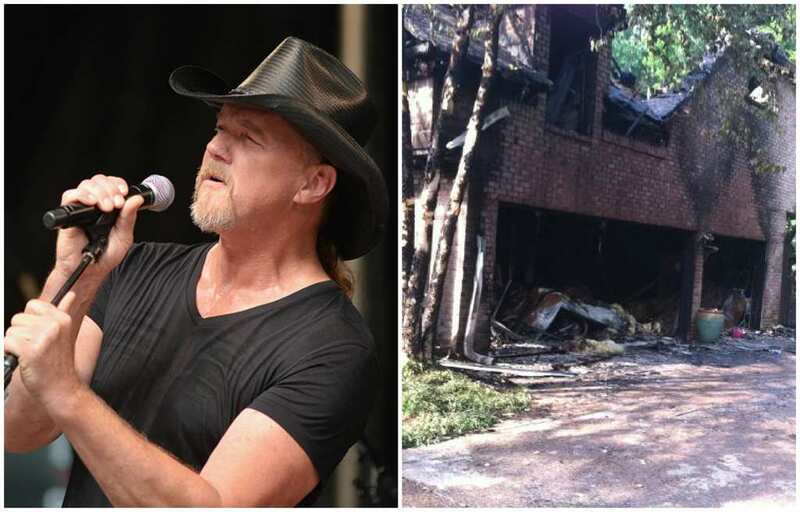 You probably heard the frightening story of what happened to Trace Adkin’s Nashville home. Due to faulty electrical wiring, the house caught on fire one day. The story has a happy ending – nobody was hurt, with the exception of one neighbor who got scratched by one of Trace’s dog’s while rescuing the dog from the burning building. The dog survived, and the neighbor was fine. The house was a total loss, but luckily the family owned another home close by. Brad Paisley was raised in the West Virginia foothills. You might be surprised to learn that because of his actress wife Kimberly’s work, Brad actually spends the majority of his off time in Los Angeles. 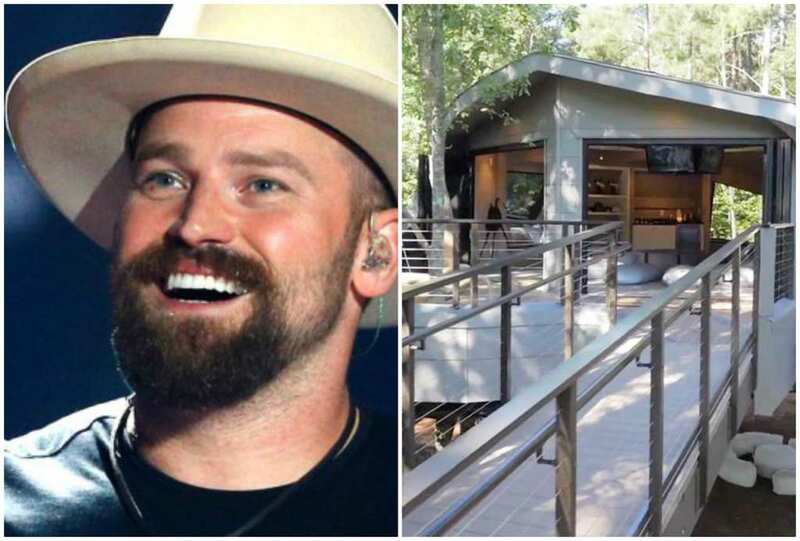 However, his heart is never far from Nashville, and this log cabin retreat is Brad’s favorite place on the planet. In an interview, he said, “I’ve always loved log cabins, ever since I was a kid.” Good for Brad for making his childhood dream come true! Thomas Rhett was born into the spotlight; his father is country music legend Rhett Atkins. However, Thomas intentionally chooses not to use his father’s last name professionally, so that he doesn’t ride on his dad’s coattails. Thomas had his family double in size recently – his wife gave birth to their firstborn, and they adopted a baby at the same time, so they basically went from 2 to 4 overnight! Rhett said they are planning on expanding their modest house soon. 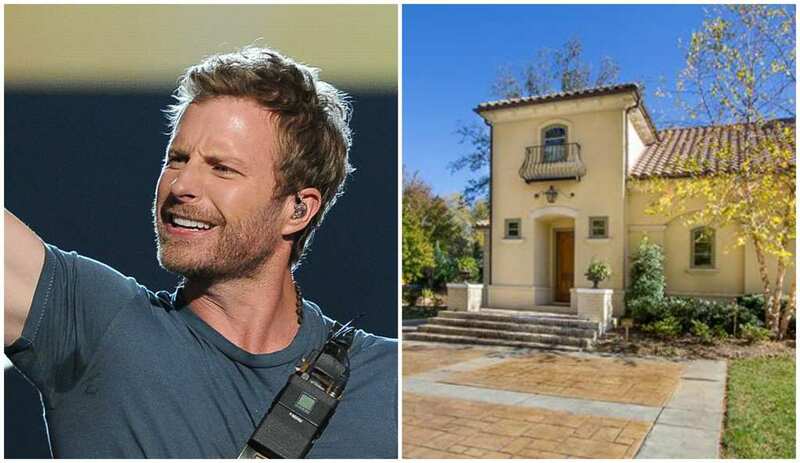 Dierks Bentley’s modest Nashville home is definitely nice, but not as indulgent as one would expect for a super star of his stature. The property includes a .6 acre lot near Lipscomb University, and has a 4 bedroom, 4 bathroom main residence as its primary attraction. There’s also a perfectly landscaped pool area with a small bungalow, two car garage and outdoor children’s play area. Overall, the house is nice but not excessive, and perfectly fits with Dierks’ personality. 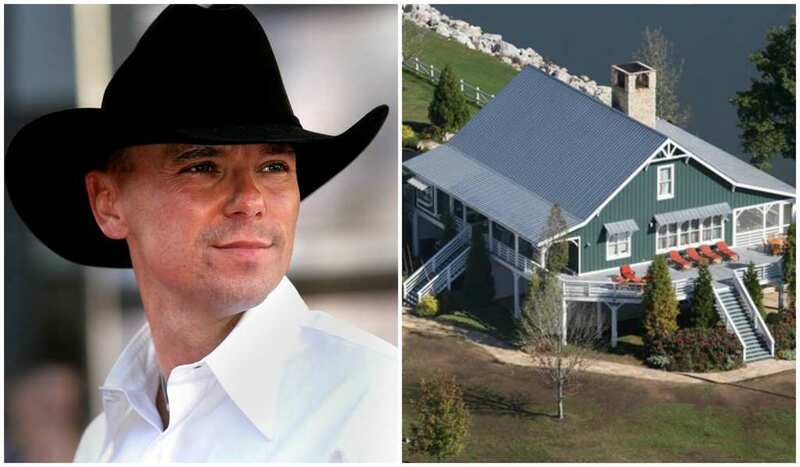 Kenny Chesney is a good old country boy, and deserves to have a luxurious estate after so many years spent hitting the road on tour. 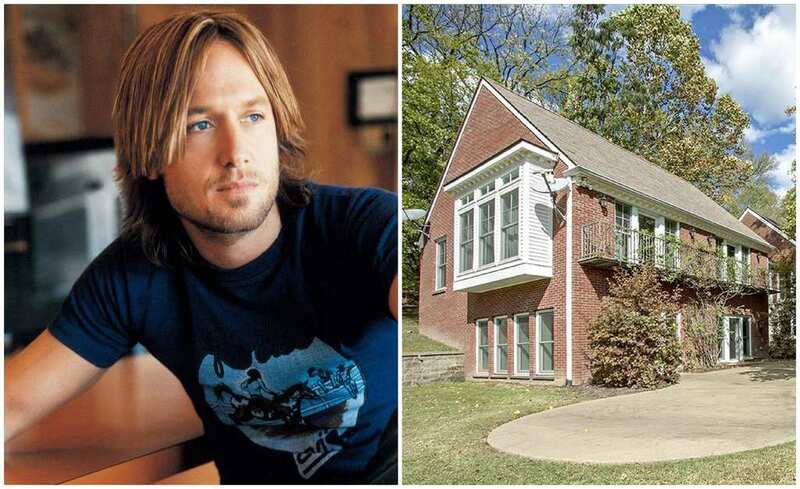 Like many other country music superstars on this list, Kenny decided to buy a property in the wealthy Nashville suburb of Franklin, Tennessee. Each bedroom has an en suite bathroom as well as a private porch or balcony. His mansion is named Bella Luce and boasts many other luxurious details, like 25 foot high limestone fireplaces. When Glamour magazine sat down for an interview with Chris Young, the country singer stated that his home, which appears to be rather modest for a country music star of his stature, is “really masculine. It’s all dark cabinets, polished granite floors. It’s just a little condo, but even my desk and my coffee table look like they are made out of an old airplane. It’s just very masculine, top to bottom.” Young also admitted to having “too many guitars. There’s guitars everywhere,” he explained. 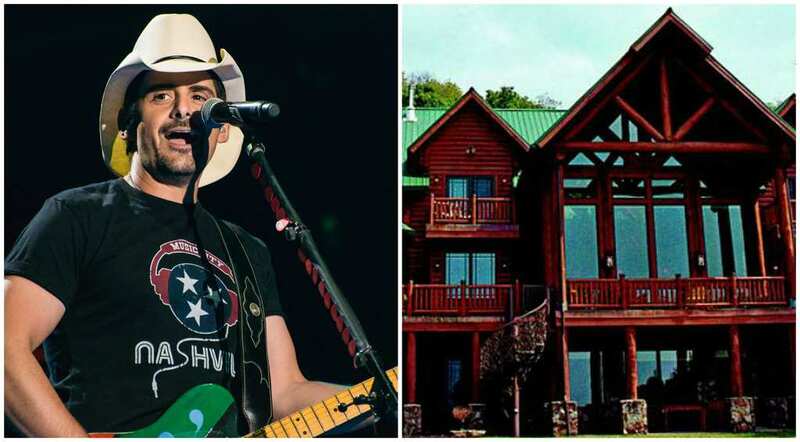 Jake Owen recently downsized from this stunning mansion in Kingston Springs, Tennessee. The value of this magnificent 4,918 square foot home is estimated to be well over $1.3 million. The mansion, which Owen purchased from Loretta Lynn comes with four bedrooms, four-and-a-half bathrooms, an outdoor tiki bar, a hot tub, a home gym, as well as a recording studio big enough for live drums. This crazy estate also features an elevator, just in case you don’t feel like climbing all the stairs. Loretta Lynn, a legend in the world of country music, owns this 19th century home, located on her ranch in Hurricane Mills, Tennessee. The Hurricane Mills property has a long history of paranormal activity, reported ghost sightings, and unexplained noises. Lynn herself has even confessed to experiencing supernatural occurrences in and outside of the home. While these various inexplainable encounters have yet to scare Lynn into selling the spooky mansion, she has moved, and now resides in a home nearby. Country singer LeAnn Rimes, along with her husband Eddie Cibrian, reside in this massive 8,642-square-foot mansion in Hidden Hills, California. The estate comes with six bedrooms, nine bathrooms, a master suite with its own patio, a large kitchen with a center island, a pool, an outdoor dining area and a swingset in the backyard for Cibrian’s two kids to play. Surprisingly, Rimes and Cibrian purchased the home, which is valued at around $4.7 billion, for just $3 million. Country super star Zac Brown of the Zac Brown Band never strayed far from his hometown roots. He was born and raised in the Atlanta, Georgia area, and instead of moving to Nashville’s most affluent suburb, Franklin, like most of his contemporaries, he bought a ranch in Fayetteville, Georgia instead. His huge 150 acre sprawling property, complete with a tennis court, barn, and pool is super impressive, but personally, our favorite feature of the farm is this insane treehouse!